IGT wine, Table wine, with attractive price, good for gifting and party. DOCG wine, Table wine, with attractive price, good for gifting and party. DOCG wine, Classical and historical Italian wine. Good for gifting, dinning, party and gathering. Intense ruby red colour. The aroma is rich with fruity hints. On the palate, good structure and balance with round tannins. DOCG wine, Classical and historical Italian wine. Good for dinning, party and gathering. Very intense ruby red colour with shades of pomegranate. On the nose, fine, delicate and rich with fruity hints combined with subtle spices. The taste is mellow, rich and persistent. An excellent wine for game, roasted meat and strong aged cheese. New Primum line launching in 2019, the best selection of Montecchio. Famous wine from Northern-East part of Italy. A young Tuscan’s wine made by Sangiovese (Morellino). 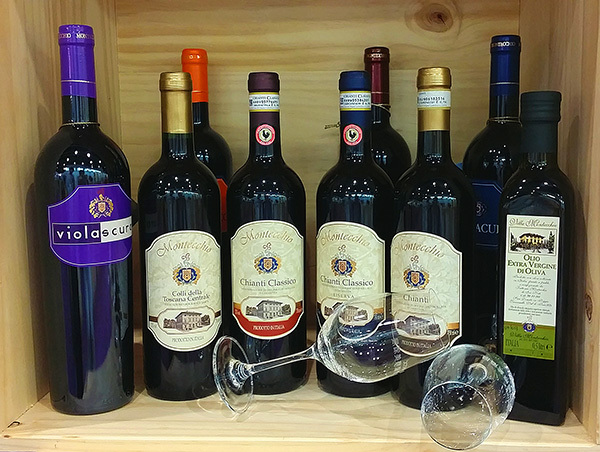 A well-known famous Tuscan’s red wines. Above are all those Italian IGT wine with very unique taste. 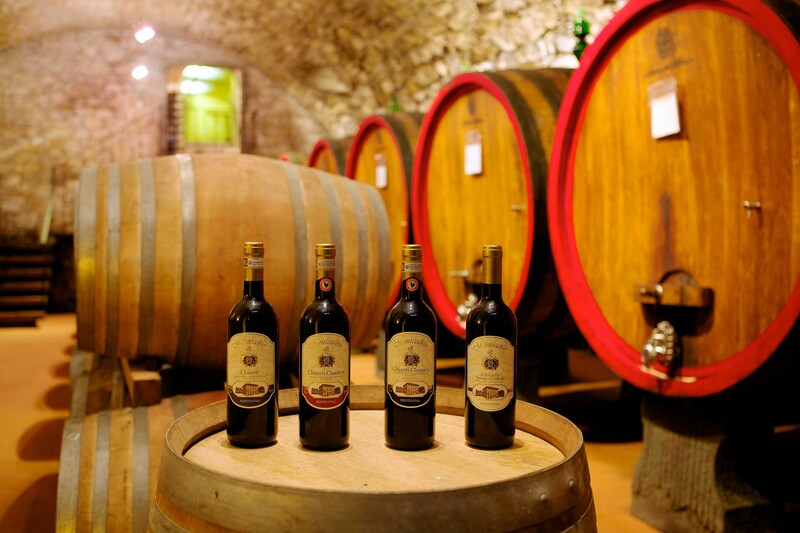 Out of the Italian traditional wine making methods and aging system. A famous Italian digestif in Tuscany region, served after Espresso. IGT Italian white wine. Bring you a special “flash and fresh” taste. Good to serve with seafood. The very first DOC wine in Italy. A great white wine with 800 years history. A dry pink wine of Toscana native Sangiovese grape. Good to serve as an aperitif. Famous Italian sparkling white wine. It is well-known to be the less-expensive competitor for Champagne. Italian sparkling white wine with specified vintage. Extra Virgin Olive Oil done by Fattoria di Montecchio.